Results of the fall 2016 public safety survey created by Common Council President Ashanti Hamilton, Alderman Bob Donovan and the Common Council are now available here for public viewing. More than 1,600 individuals from across all parts of the City of Milwaukee filled out the survey, providing valuable feedback and information that can help shape the future of public safety policy in the city. 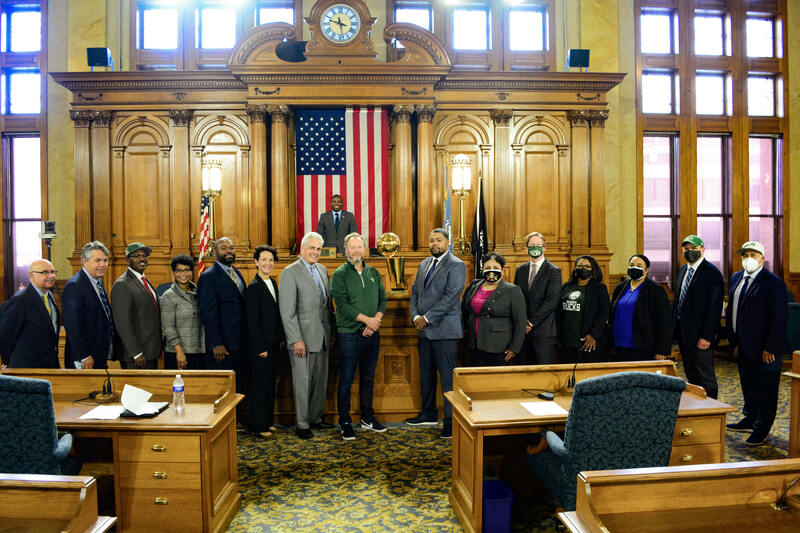 Fifteen elected members comprise the Common Council in Milwaukee. Each Council member is elected to a 4-year term and represents a district of about 40,185 persons (U.S. Census Bureau estimate, 2006). 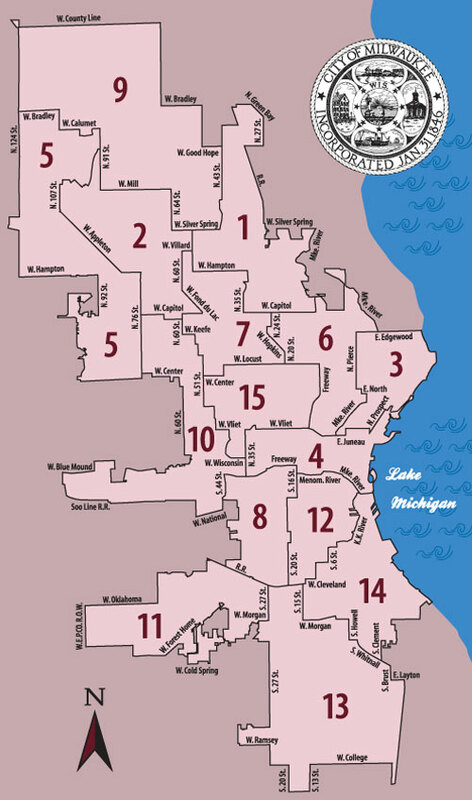 Click your district on the map to access your Common Council member's page. OR click here to locate your district and polling place.